Steven Holl is a renowned American architect, best known for his artistic designs influenced by contemporary theories of phenomenology. He believes that it is not the task of the architect to plan a design around the site, but in fact, the site itself speaks out the “architectural idea” that must be employed in its construction. Steven Holl was born on December 9, 1947, in Bremerton, Washington. He attended the University of Washington, and in 1971, he graduated with an degree in architecture. He pursued his further architectural studies abroad, first in the artistic and culturally rich city of Rome and later, his post-graduate studies at the Architectural Association in London. Upon his return to the US, he established his own practice in New York City in 1976, named Steven Holl Architects. In 1981, he was appointed on the faculty of the Colombia University, he also held positions at the University of Washington Seattle, Pratt Institute New York, Parsons School of Design New York, and the University of Pennsylvania Philadelphia. In 2000, he was made a member of the American Academy of Arts and Letters. In 1989, the MOMA showcased Holl’s work by organizing a two-man show, the museum purchased most of his drawing for their permanent collection. In 1991, the Walker Art Centre organized a solo exhibition to showcase his work in a series entitled, “Architecture Tomorrow”. This series was also showcased at the Henry Art Gallery in Seattle, and later, it was exhibited throughout Europe during 1992-1993. Holl’s major works stand as huge and iconic buildings in several metropolitan cities around globe. Some of his most celebrated and praised works include the Museum of Contemporary Art Kiasma in Helsinki, the Nanjing Sifang Art Museum in Nanjing, China, a renovation of the Amerika-Gedenkbibliothek (American Memorial Library) in Berlin, and an annexation to the John F. Kennedy Center for the Performing Arts in Washington, D.C.
His later work focused on the development of an urban-scale mixed residential and commercial projects, which he began establishing in China, particularly the Linked Hybrid in Beijing, a building complex comprising of apartments, hotels, schools and restaurants, and the Vanke Centre in Shenzhen, which is famously termed as the “horizontal skyscraper”. 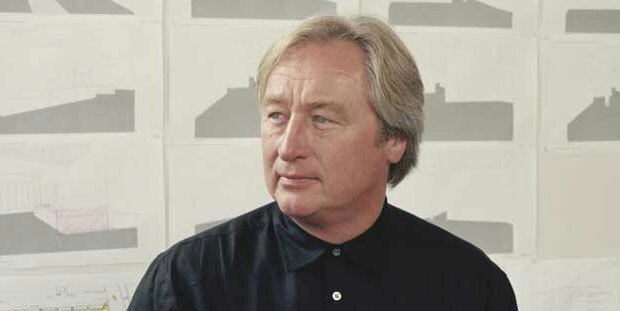 Steven Holl has been the recipient of numerous awards and honors, including the Cooper-Hewitt National Design Award, the Alvar Aalto Medal, the 1999 New York AIA Project Award by the Nelson-Atkins Museum of Art, Kansas City, the 1999 National AIA Design Award Kiasma, by the Museum of Contemporary Art, Helsinki, the 1998 Chrysler Award for Innovation in Design and the American Institute of Architects Gold Medal in 2012 among many others.